Contains beneficial microorganisms to help re-establish your inner eco-system. They are much more powerful than any probiotics you can buy in a capsule. Cultured vegetables are pre-digested. This means that before they even enter your mouth, the friendly bacteria have already converted the natural sugars and starches into lactic acid. This will help digest all of the foods you eat. Raw cultured vegetables are alkaline, very cleansing and are rich in vitamins and minerals. They help control sugar cravings. 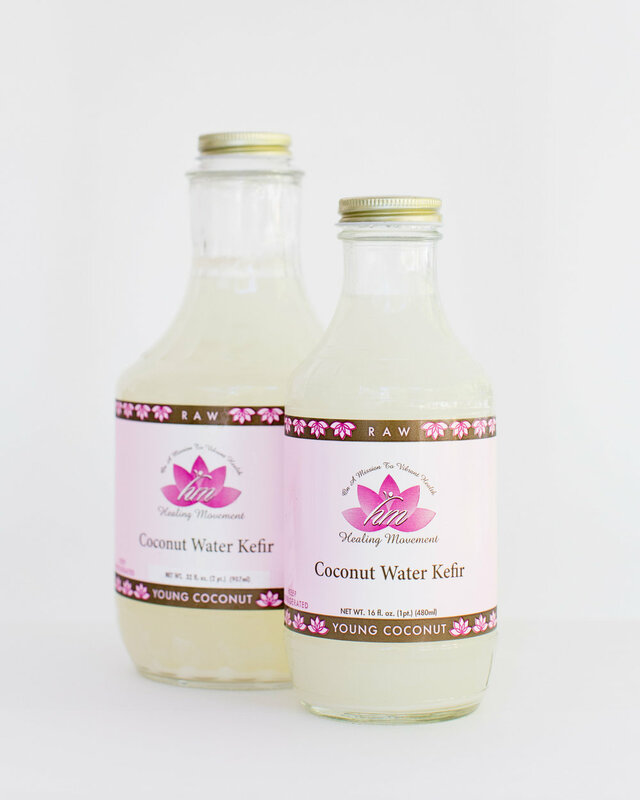 Kefir is a cultured and microbial rich food that helps restore the inner ecology. It contains strains of beneficial yeast and bacteria that give kefir antibiotic properties. It aids in the digestion of all foods. It helps build tone in the intestines. It cleanses the liver. In Chinese medicine the liver rules the skin, eyes, and joints. Many people report having a brighter complexion, improved vision and reduced joint pain. It contains high levels of valuable minerals, including potassium, natural sodium, calcium, and magnesium which explains why the hair, skin and nails become stronger and have a prettier shine. It appears to have beneficial cleansing effects on the endocrine system (adrenals, thyroid, pituitary, ovaries). Women find their periods are cleaner and healthier. Aria Starus, CEO | Aria Starus brings a special brand of youth and passion to the specialty health food sector. Having grown up in a food entrepreneurial household, Aria has been witness to many facets of the food industry at an early age. Her fascination with health food, production, manufacturing, nutrition, and research and development urged her to get heavily involved in Foodology her family company. Foodology, which began in the 1980′s has been an innovator in the health food movement. What started out as an urban farm has now developed into a well known local and national brand that is shipped all over the country. It is here where she gained a wealth of knowledge in sales, marketing, employee management and overall company operations. The mission of Foodology, “Providing affordable health food to the mainstream community” carries over into her own business philosophy. In 2011 she started Foodies Urban Kitchen which provides small food companies the skills and tools to grow and thrive in the current food manufacturing landscape. Finally in 2012 she bought Healing Movement. She looks forward to growing this venture and educating the world on how to heal through pure foods. Healing Movement’s products are raw cultured and full of wonderful probiotics. We have some great tips for eating our cultured vegetables and coconut Kefir; not to mention some fun recipes. We challenge you to mix them into your meals once a day! Healing Movement’s products are raw, cultured and full of wonderful probiotics.